Knock Knot Lodge has been handcrafted using nature as inspiration for its detailed exterior, including its removable roof with chimney, its large porch leading to the front door and its tree stump for the base. 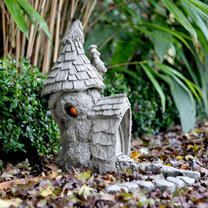 Its removable roof and open windows enable you to insert a tea light, whose flickering light inside brings this little fairy house to life, and welcomes your fairy friends home. Complete with two sets of stepping stones which are separate from the piece. 26 x 20 x 32cm high. 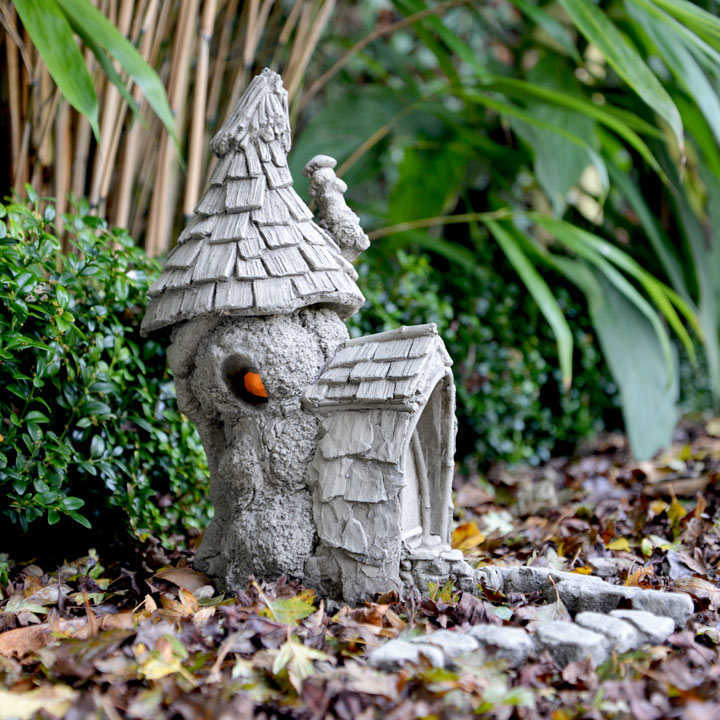 Hand made in Devon, from reconstituted stone, and suitable for the home or garden all year round. Each piece is hand finished with a stain/wash to enhance the appearance & lift the detail into life!